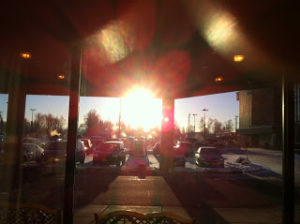 The sun at noon in Fairbanks, last week: a little low in the sky. The sun came up around 8:30 a.m. and set at about 4:45. It gets lower at noon and there is less daylight on the days to come.